Continuing day two of Models Own Week. 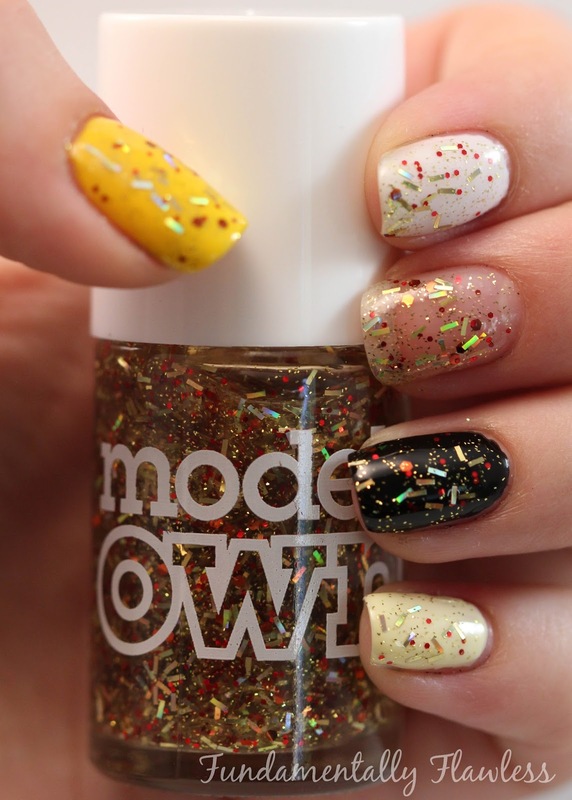 This is the third swatch from the new Models Own collection - Fireworks. The collection is described as the "latest glitter explosion! Five ultra fun nail polishes, formulated with a clear base - each polish is packed full of numerous colourful glitters all in varying shapes and sizes. 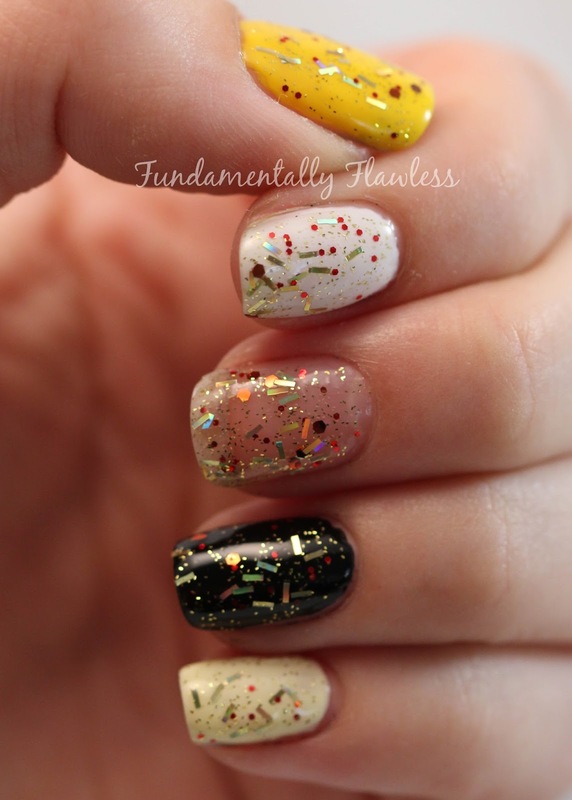 The range of multi-faceted fragments in each polish allows you to choose the intensity you want depending on the effect you are aiming to achieve." 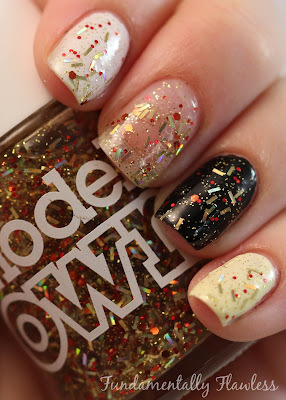 The third is Catherine Wheel - which contains four glitters - mini gold strands, tiny red polka dots, orangey red hex glitter and little gold flecks. It's not as dense a glitter top coat as Sparkler or Banger are, but it is very pretty and certainly screams November to me! The polish goes on easily and the clear base isn't gloopy, but I found that it did take a little while to dry. 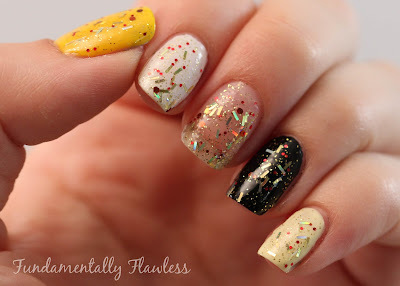 The glitter took a bit of arranging to get it where I wanted on the nail but because the glitter was a bit sparse, you may want to put two coats on. I just went for one in the photos below. I put Catherine Wheel on top of a variety of bases to show how it looks - from thumb to little finger: 17 Go Go, Models Own Snow White, naked nail, Models Own Black Magic, Models Own Banana Split.